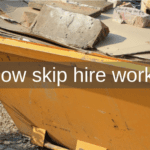 What Size Skip Hire Do You Require? Make sure you order the right sized skip today! 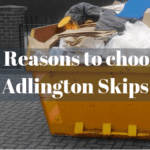 Here at Adlington Skip Hire, we provide an extensive range of skips, making it easier for you to choose one that provides you with an ideal solution for storing any waste that your domestic project generates. The size of the skip you require depends on how big or how small your property is. Adlington Skips is home to a variety of domestic skips, ranging from the mini 2 cubic yard skips and the larger 16 cubic yard skips, so you needn’t worry about finding a skip big enough for your skip hire Anderton! Our 2 cubic yard skips are perfect if you’re undergoing work on your property but you don’t expect to generate an awful lot of waste! These mini skips are surprisingly spacious, fitting up to 30 bin bags, 4 wheelie bins and 1 sofa! Adlington Skips can help you to dispose of the waste your home renovation project generates, in a way that’s safe and sustainable. If you’re carrying out improvements on your home, you can rest assured that we have a skip size suitable for your complex project, consider our 12 or 16 cubic yard domestic skips! The 16-cubic yard skips for skip hire in Leigh are designed to store light materials only, this is to ensure that they can easily be lifted onto our up-to-date fleets. The larger skips that we supply are best suited to the requirements of bigger projects, accommodating for 100-160 bin bags, 16-48 wheelie bins and 4-8 sofas! 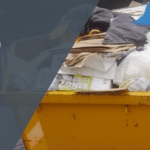 At Adlington Skips, we don’t stipulate a limit on the amount of waste you can dispose of, we simply provide skips to allow you to redecorate your property with peace of mind that you have somewhere to throw any unwanted objects.  We cater for all your skip hire requirements, so no matter what you’re looking for, you can rest assured that you’ll find it here at Adlington Skips! Our skips for skip hire Bolton are available in an array of sizes, they can hold immense capacities, allowing you to keep your driveway free from debris and rubble! Think about where you want the skip to be left overnight: you’ll need to take into account how much space there is available. When hiring a skip for skip hire Wigan, you want to avoid restricting access to other properties. If your skip is to be stored on the road, you need to make sure that there is sufficient space, making sure you don’t cause a hindrance. Often, domestic skips left on the road are small, yet this is not to say that they don’t need to be visible in periods of darkness! When there comes a time that you need skip hire Anderton, look no further than Adlington Skips! We supply the 8-cubic yard maxi skips to accommodate all types of waste, including garden waste material. The drop door skips are perfect for soils and other fine sediments, ensuring mess is kept to a minimum. Whether it be tree branches, plants, soils or pebbles, our 8-cubic yard skips are perfect for skip hire in Leigh, keeping your garden waste in one place. These skips can hold up to 80 bin bags, 16 wheelie bins and 4 sofas- making them a fair investment to make for your renovation project! Find out what size skip suits you best – Call 01257 474 747 today!